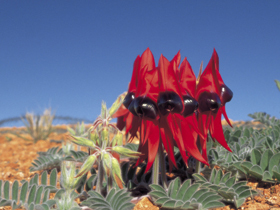 Copley is ideally situated, midway between Adelaide and many popular Outback Australian destinations such as Innamincka, Birdsville, Oodnadatta, Coober Pedy and Roxby Downs. 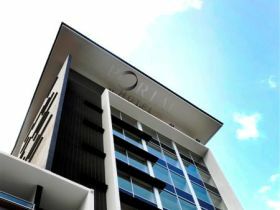 Being a comfortable day's drive from all these locations makes Copley the ideal placer to stop, rest and relax. 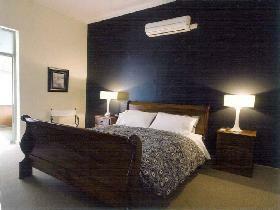 Country Bakehouse Accommodation provides elegant, affordable accommodation in the mid north of South Australia. Edeowie House offers you an ideal getaway with all the comforts of home. 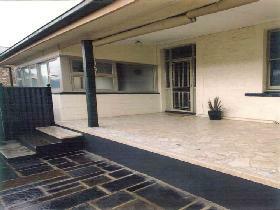 Set in a private garden, the house is fully self contained with two king size bedrooms and one queen size bedroom. 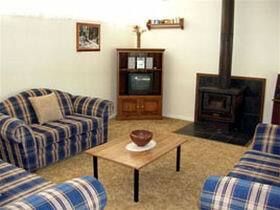 Ducted air conditioning and a slow combustion wood stove will suit the time of year you decide to visit. 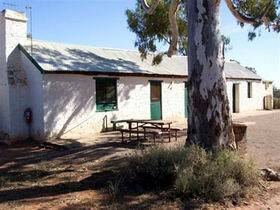 Edeowie Station is a working sheep property located 450 kilometres north of Adelaide. 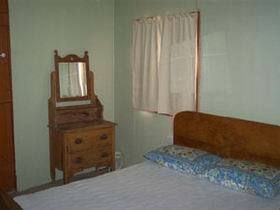 The Shearer's Quarters can accommodate up to 27 people. Some of the station's outbuildings including the shearing shed, Shearer's Quarters kitchen/mess and the Overseer's Quarters have been nominated for State Heritage Listing. The station abounds with native wildlife. 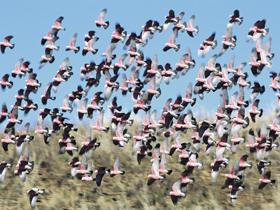 The creeks are lined with splendid red Rivergum trees and the area is an artists, birdwatcher's and bushwalker's paradise. 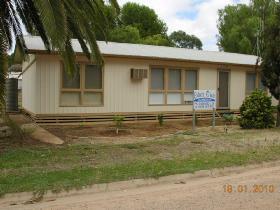 Emohruo is located approximately 16 kilometres north east of Hawker on the Warcowie road. 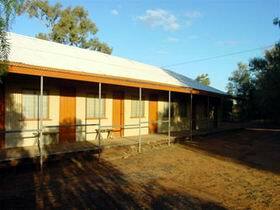 Neat, modern cabin with two comfortable bedrooms in a country setting, 100 metres from the main homestead. 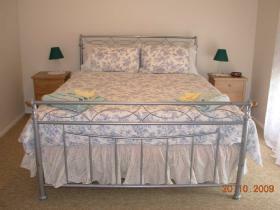 One double bed in one room and three single beds (a bunk bed and one single bed) in the other room, plus a cot. The kitchen/dining room is in the middle with air conditioner, electric refrigerator, electric stove and microwave. There is a bathroom with shower/toilet. A gas barbecue available. 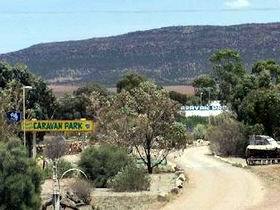 Flinders Ranges Caravan Park is one of the highest rated caravan parks (four stars) in the Central Flinders Ranges. We offer a variety of accommodation including self contained cabins, or bring your caravan or tent with you. 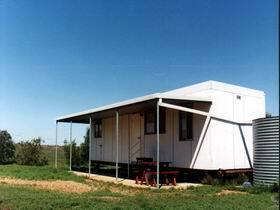 The caravan park is located opposite the historical railway station within walking distance of all town facilities on the Leigh Creek side of Hawker and overlooks the Yourambulla Range. Fuller Views Cabin Park is the ideal base to explore the many attractions in the region. 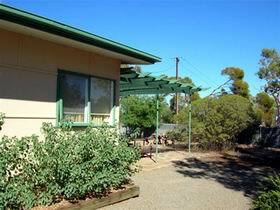 The Cabin Park is located at the foot of the beautiful Flinders Ranges at Stirling North. All of our brand new self-contained overnight cabins are fully equipped with ensuite, all linen and cooking facilities, stove, fridge/freezer, remote controlled television (with free Austar), reverse cycle air conditioning and ample parking. There is a barbecue area, laundry and ironing room.